It’s that time of year again, when you find yourself asking the same question: what holiday gifts should I give my remote employees this year? From work holiday parties and secret Santa gift exchanges to personal gift shopping and holiday travel, it’s a lot to juggle. On top of this, it can be especially hard to know what gifts are good for employees, let alone work from home employees, without coming off as unthoughtful or cheap. We get it. Luckily, we’ve put together a hand-picked list of our top ten holiday gifts for telecommuters and all employees to help you show your appreciation this holiday without breaking the bank. But, first: coffee. For many of us, our workday doesn’t start without a big ol’ cup of caffeine to jump-start the day. If you work with a coffee lover, why not choose the gift that will keep on giving every single day: a coffee subscription. With the rise of specialty coffee culture, there are a variety of different subscription services for your coffee-loving remote team. Each coffee-drinking individual has their own unique preference on taste. Which is why Driftaway Coffee sends you a tasting kit of four profiles, which you will then rate on their mobile app or website. Based on your rating, they will pick out the best-tasting coffee for you, and deliver it right to your door. A wonderful and personal present to your employees, as Driftaway Coffee will make sure that the right blend is sent their way. You can customize the size of each delivery, how often bags will be delivered, and the duration of the subscription. Price starts at $74.00. Starting at $96.00 for three months of coffee, Stumptown Coffee Roasters gives you the option to gift from a selection of flavorful coffee beans from the artisanal coffee roaster, then the option to customize the quantity of coffee you’d like to send, along with the subscription time frame such as three, six or twelve months. For three months, your employee will receive six shipments, one bag every two weeks for three months—great for the coffee aficionado! Craft Coffee selects three different roasts each month, sourcing the beans from a long list of independent roasters around the country. With Craft Coffee, you have the option to gift a coffee sampler, single-origin selection or flagship blends. Then, you can select the subscription gift time frame of one, three, six or twelve months of coffee—perfect for the coffee lover who wants to discover new roasts. Starting at $29.99. While it doesn’t come with a subscription option, Jack Daniel’s coffee still makes for an excellent gift to employees. The product comes in two sizes: a 1.5-oz. gift bag for $7.95, and an 8.8-oz. can for $18.99. Jack Daniel’s coffee has two variants: standard, and decaffeinated—perfect for moments when you want to take things easy and just indulge in the taste of coffee. It’s always nice to give gifts that you know will last for years. Knowledge, for example, grows over time as opposed to material things that can lose their value. When you send an opportunity to learn as a gift, you’re also sending them a chance to hone their skills and develop their passions, making it a win-win situation for you and them. GoSkills offers a huge selection of tutorials ranging from Adobe Photoshop to public speaking. What’s even better is that the lessons can be accessed anytime and anywhere, making them a perfect fit for remote culture. Prices start at $29.00. For work from home teams, having the right tech can create a more productive workspace. Smart speakers are just one example of this. They’re capable of many things from switching the lights off to playing the music of your choice. Make life easier for your remote employee and give them the gift of a personal home assistant. The Amazon Echo is a hands-free speaker controlled by voice starting at $99.99. Echo connects to Alexa Voice Service to play music, ask questions, make calls, send and receive messages, provide information, news, weather, and so much more—instantly. Need to send an email but don’t have your laptop or phone nearby? Running out the door and forgot to check the weather to see if you need that raincoat? Want to play some classical music quietly in the background as you edit a project? Echo can help you with all of this, with just your voice. With crisp sound quality and the ever familiar Siri, Apple’s HomePod is the smart speaker for Apple lovers. If you primarily use Apple devices, you’ll find that the HomePod will integrate effortlessly into your home. The HomePod can do a variety of things from sending someone a text from your iPhone to learning what type of music you prefer over time. And with Apple’s A8 chip you can count on Siri to always recognize and process your commands, even amidst high levels of noise. Bring music, or even an audiobook, to your work from home employees with a media subscription — a gift any remote employee would appreciate. For the music-loving employee, give the gift of Spotify Premium. With Spotify, you can play, discover and share music with ease. Spotify Premium allows you to download music to your phone, computer, tablet and more, for only $0.99 for three months and $9.99 per month after. Your remote team will appreciate having music wherever and whenever especially when there’s no cell service or WiFi. For your book-loving team members, Audible will provide them with endless options of digital audiobooks, radio and TV programs, and audio versions of magazines and newspapers. Audible members can also enjoy one free audiobook each month, exclusive savings on additional purchases, and complimentary access to audio shows. Sometimes, it’s too easy to get immersed in work that you’re no longer updated on the trends and latest advice Even with the Internet at their fingertips, your employees may be forgetting to read up on the happenings in their respective fields. This is where magazine subscriptions come in handy. Forbes is widely known for its lists of top figures in the business world, but it also covers a multitude of topics from science and technology to finance. For $20.00, you can give your employees a one-year subscription. A great gift for employees who are falling behind on the most recent industry news and trends, and for good reads in between long hours of work. Fast Company magazine is for people who are interested in business and technology, making it an excellent gift for remote employees. Fast Company often features the latest and most talked about figures in various industries and publishes eight issues annually. A year-long subscription costs $19.99, but you can opt to add an additional year by adding $10.00. Sitting down in front of a computer for a full day isn’t only tiring mentally, but physically, as well. Ergonomic equipment helps you work more comfortably and productively, and it’s better for your body, too. Staring at a computer screen for extended periods of time puts strain on your eyes and neck. The Ergotron LX Desk Monitor Arm aims to fix this by allowing maximum flexibility with the computer screen. Your remote employees can always have an optimum viewing angle no matter where or how they sit. Prices range from $150 to $200, and it’s available on online shops like Amazon and Office Depot. Less is more, and you won’t find a better example than the Ghostand. It allows you to work while standing up, which is good for the back and helps fight off drowsiness. The Ghostand is made of industrial grade corrugated cardboard that can support over 60 pounds but weighs under just three pounds. For $39.00, you can give your employees the ability to work potentially anywhere thanks to the Ghostand’s extremely lightweight structure and portability. Working while standing up does have its benefits, but it’s hard to maintain for hours. You’re bound to sit down and rest your legs eventually. The Wobble Stool makes it easier to shift between sitting and standing. It lets you move around even while sitting down, preventing the bad effects of sitting for long periods of time. Any foodie will fall in love at first bite with these delicious snack subscriptions. Keep your remote employee fueled with customizable snack packages shipped directly to their door. Snack lovers will love what Graze has in store, from flapjacks to chocolates to berries. For $41.97, you can give your employees a voucher for three boxes, each containing eight snacks. What the snack boxes contain is entirely up to you, or you can let Graze decide what to send based on your dietary preferences. Snacking while working has never been more exciting. Your remote employees will be glad to know it’s possible to experience fine snacks from all over the world without leaving their homes. For $84.00, Universal Yums will send your employees a box containing six snacks from different countries, for a span of six months. The boxes also come with a booklet containing stories, trivia, games, and even recipes. As the name implies, NatureBox is a great option for health-conscious snackers. NatureBox has over 40 kinds of snacks, all made with health as a priority. You can select snacks that are high in protein or fiber, vegan, or other types based on your team’s diet. Gift card prices start at $25.00. Mouth offers mouth-watering goodies for every type of mouth delivered monthly to your doorstep. Whether your employee is a pickle fan, snacker or foodie who loves to explore, Mouth offers something tasty for everyone. Subscriptions start at $60.00 per month for three months. Surprise your remote employee with a delightful piece of nature that will brighten their desk or side table. Starting at $25.00, Lula’s Garden offers hand-planted succulent gift boxes shipped nationwide—an eco-friendly way to show you care. Pick from a variety of lovely succulent and box options including the Original Gardens set, which contains three small, fresh succulents pre-planted in a beautifully designed and sturdy planter box, or the Holiday Bliss Garden, which contains a fresh succulent garden in a beautifully, holiday crafted planter gift box. Aside from being a timeless decorative option, plants also make the air quality in your workplace. Léon & George offers a wonderful selection of plants that are placed in beautifully made pots, which can liven up your office’s atmosphere. With all the benefits that plants bring to the table, it’s never a bad idea to add some to a place where you’ll be spending long hours of your day. The plants are priced at $139.00. Working in fairly loud environments like coffee shops is quite common for remote team members. Eric Rohrback of RedShiftDM recommends headphones for productivity because they replace the noise with music, helping workers get into a focus mode easier. 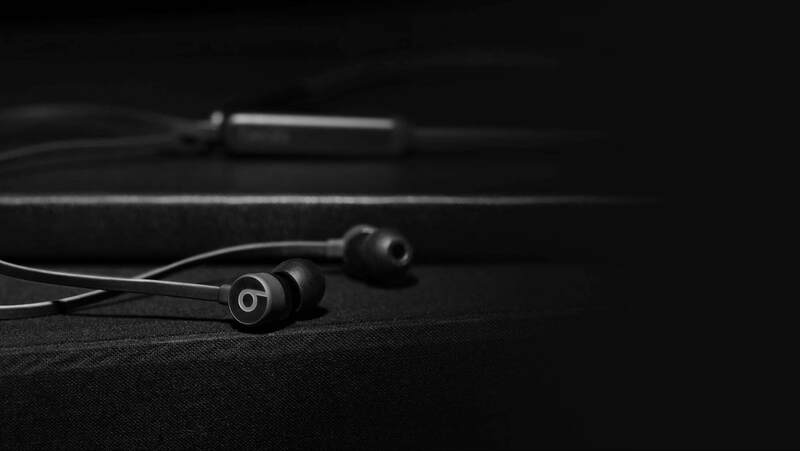 Beats offers premium earphones with incredible sound quality, and the Beatsx Earphones are no exception. With up to eight hours of battery life for when you’re on the go, these wireless earphones, suitable for any device, are Fast Fuel-enabled—a five-minute charge gives you two hours of playback when the battery is low. Perfect for employees on the go, you can take calls from anywhere with these headphones without worrying about battery life. Plus, you can even select from a plethora of color options including matte gold, blue, white, black, gray and matte silver, suited to your employees’ color preference. One of the most well-received wireless earphones of 2018, the Jabra Elite 65t is an extremely compact option, yet just as feature-packed as any other. It boasts superb sound quality and noise cancellation, comfort, and water resistance. It also comes with a companion app available on both iOS and Android. On top of that, the 65t comes with a quick charge feature which allows you to play up to 90 minutes of music in just 15 minutes of charging time. Perfect for remote employees who are always on the move, or live an active lifestyle! Described as wireless, effortless and magical, Apple’s AirPods will forever change the way you use headphones. Whenever you pull your AirPods out of the charging case, they instantly turn on and connect to your iPhone, Apple Watch, iPad, or Mac and audio automatically plays as soon as you put them in your ears and pauses when you take them out. No more untangling your earphones and fidgeting with them—simply amazing! If you’re still having trouble finding the perfect holiday gifts for your employees, why not give them the gift they’ll actually use? If your employees always ask for Starbucks gift cards or tickets to the movies, get them a gift card to their favorite shop or activity. Nowadays, many stores allow you to send eGift Cards so you can easily email the gift card and don’t have to physically visit the store anymore. Visa is accepted worldwide, making it a good overall choice if you’re sending your remote team gift cards. Whether they want to take their family out to dinner or buy something special for themselves, you can help make their holidays more memorable. Remote work is perfect for people who have a passion for traveling. If any of your remote employees are travel enthusiasts, there’s no better gift to give than an Airbnb gift card. Your team members are sure to appreciate the kind gesture and inspire them to work better. There’s nothing quite like an opportunity to go places. Show your appreciation for your employees who work from home with one of the gifts listed above—there’s something for everyone. Have a holiday gift suggestion for remote employees? Share your suggestion with us in the comment section below! This post was originally published December 14, 2017, and updated November 2018.